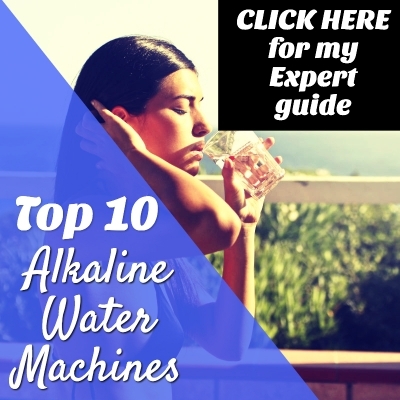 W elcome to Alkaline Water Machine Source, your #1 resource for up to date and honest reviews of all the latest alkaline water products. 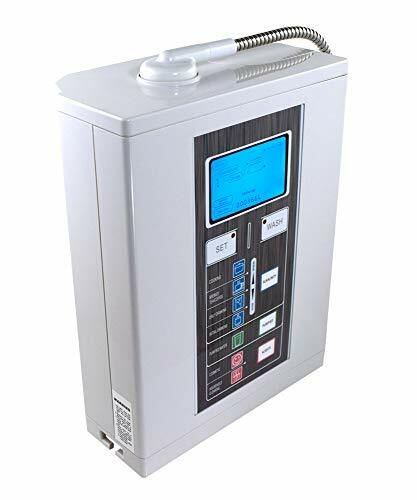 In this article, I lay out my complete Aqua Ionizer Deluxe 7.0 review for you to go through before deciding which alkaline water machine is the perfect fit for your home. Let me start out by saying that the Aqua Ionizer 7.0 is one of the most popular ionizers currently on the market. It offers a long list of features and a price that won’t make you cringe when you see it. There are some ionizers on the market that overcharge people to buy their name, when in reality, we can all own one. Are Owners of the Aqua 7.0 Happy Campers? The 7.0 comes with a 5-year iron-clad warranty. The Aqua 7.0 comes equipped with 7 platinum coated titanium plates that do a great job of saving you money on your electricity bill while producing the healthiest water possible. The unit features a reliable activated carbon filter that only needs to be replaced once a year. The 7.0 makes a wide range of water between pH 4.5 and 11. The ORP Range is +600 to -750mV. The unit comes with a universal adaptor, which means you can install it anywhere you choose. The unit can be installed under the sink or on the countertop. All the plastic parts are FDA approved and BPA free. The unit is RoHS certified and produced in a factory that has successfully gone through ISO 9000:9001 testing. The machine automatically cleans itself using a super smart method. For us science geeks, it reverses the polarity in the plates after each use and automatically washes the plates every 10.5 gallons. There are seven water preset options: 4 alkaline water options, 2 acidic water options, and 1 non-ionized purified option. Installing the unit is a piece of cake for most people. It comes with everything you need to install it in the kitchen, bathroom, or utility sink in just minutes. The coolest part is once the unit is connected, you’re ready to start drinking antioxidant-rich alkalized water just minutes later! There’s no need to spend hours or waste gallons of water to prepare the unit for use. Considering we all want to start reaping the health benefits of the water asap, this is one of the more favorable features the Aqua 7 has to offer. There’s no need to worry about expensive filter replacements or buying multiple filters for the Aqua 7.0. 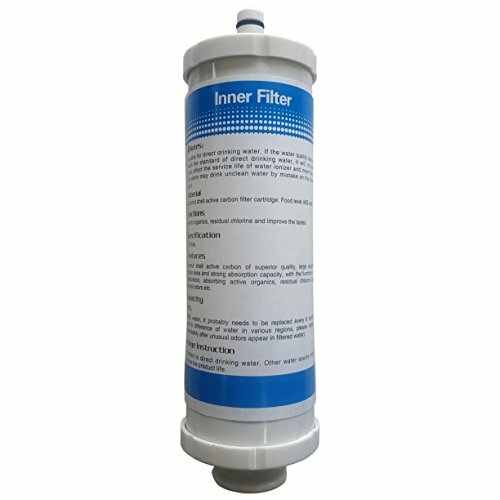 Just one filter per year gets the job done. The Aqua 7 model AWL-7000 uses a powerful activated carbon filter. One of the biggest advantages that jumps off the page is the single annual filter change. Imagine how much time and money you can save knowing you won’t have to constantly replace a home filter or a water pitcher that doesn’t get the job done in the first place. The 5-year warranty gives users peace of mind, and since the unit takes care of itself with the self-cleaning feature, it should last decades longer than five years. Reducing the acidity of my tea and coffee makes me happy. You most likely love your morning cup of coffee and don’t step out of the house before having it. The problem is that coffee can hurt your teeth because it’s acidic. The Aqua 7 helps save your teeth by raising the pH. Antioxidants in every glass equal looking younger and healthier. Better hydration = better looking. You can use acid water to clean the house since it’s better at disinfecting surfaces. Acid water is also better at tackling strong odors that could get stuck on your hands such as icky onion or garlic. It comes with under the sink attachments, no need to worry about lack of counter space. One user did report the need to test the water before drinking it. It’s important to avoid alkalizing the body too quickly since it can rapidly detox the body. 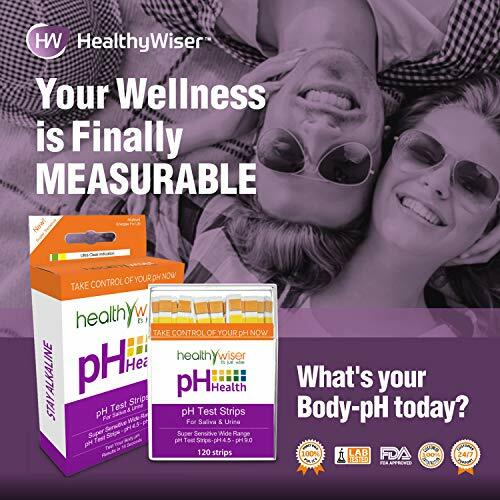 Here’s a reliable pH meter to test your water with to ensure the accuracy of the unit. Great and reliable customer service. The company stands firmly behind its product and has the certifications to back it up. One user recommends keeping the water flow low to maximize the antioxidants in each glass. Help clear up stubborn acne by taking advantage of the astringent effect of the acidic water setting. A woman’s husband cleared adult acne that he had for twenty years just by using the acid water! One user reported that his unit is still functioning perfectly after 5 1/2 years of daily use! Health benefits that are “absolutely noticeable,” says one user. Family dogs have a “spring in their step” after drinking the alkaline water. The Aqua Ionizer Deluxe 7.0 is one of the most popular alkaline water machines on the planet for a reason. Don’t fall for the high price tags of other units that do the exact same thing as the Aqua 7. You can feel safe knowing you’re buying from a trusted and health-conscious seller. One of the best parts is the versatility of the unit since it can be installed under the sink or on the countertop. We don’t all want to give up precious counter space. Then there is the single filter that only needs to be changed once a year. Save $1,000s and get the same benefits as more expensive alkaline water machines with the Aqua 7.0.